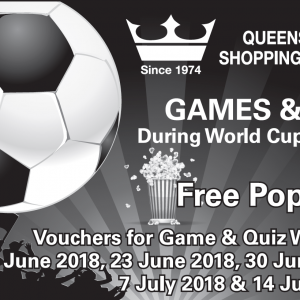 Game & Fun Weeks at Queensway Shopping Centre on 16th June, 23 June, 7 July & 14th July 2018, 4:00PM to 6:00PM. 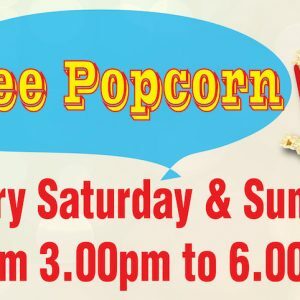 Get free popcorn, win vouchers for game and quiz. Join us to the World Cup Fever! 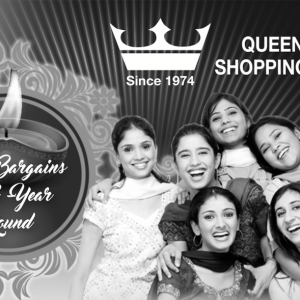 Visit QueensWay Shopping Centre to rediscover gems as you shop. There are a lot of surprises awaits you. See you there!